KNUTSFORD will come under the national spotlight later this year as it marks the 65th anniversary of codebreaker Alan Turing’s trial with events across the town. Knutsford Promenades community association has teamed up with Heritage Open Days to put on more than 50 free-to-attend events in Knutsford and Wilmslow between September 7 and 10, with more than half focusing on the legacy of one of Britain’s greatest minds. Famed for his work on the enigma code during World War Two, Turing – who lived in Wilmslow – was in 1952 found guilty of buggery and indecent sexual conduct with another man at a trial at Knutsford’s old sessions house. Among the highlights of September’s events will be a series of recreations of the Regina v Turing and [co-defendant 19-year-old Arnold] Murray trial – including a virtual reality depiction – organised by arts company Re-Dock and Cheshire East Council’s arms-length company SHIFT Digital. Sarah Flannery, Knutsford Promenades chairman, said: “Last year we took the step of tying in with Heritage Open Days. It’s England’s largest heritage festival and a lot of the aims are the same as ours – treasure your treasures. 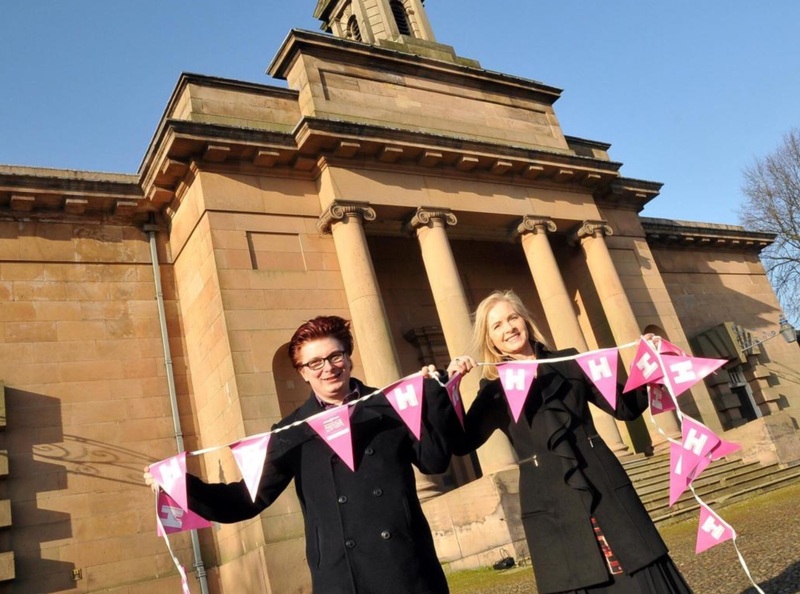 “Last year we put on 32 events and welcomed 4,000 visitors. It was a learning curve. 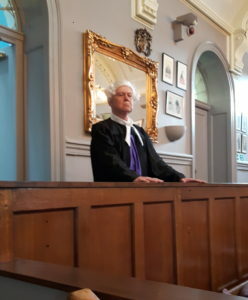 We opened up the courthouse before any work had been done and we realised the vast majority of visitors didn’t realise that Alan Turing had been tried in Knutsford. “We had a meeting with HOD and they were by chance looking at having their first arts project. The two fitted in perfectly with the theme being LGBTQ. “While we want to focus on the man, his work, his legacy we also have events across Knutsford focusing on other people as well. Now we are at the point where we need an audience. Following his trial in March 1952, Turing was chemically castrated. He died in June 1954, just shy of his 42nd birthday, from cyanide poisoning. An inquest found that he had committed suicide. He received a posthumous apology in 2009 and a royal pardon in 2013. A law which has seen tens of thousands of gay men posthumously pardoned was informally named ‘Turing’s Law’ earlier this year. Annie Reilly, HOD manager, said: “We are so glad to be working with Sarah here in Knutsford on this project. “This is such a shining example of how HOD works, with volunteers, visitors and sponsors all playing a part. Other events include visits to the Ruskin Rooms, Booths Hall, and St John’s Church where visitors can climb the bell tower. 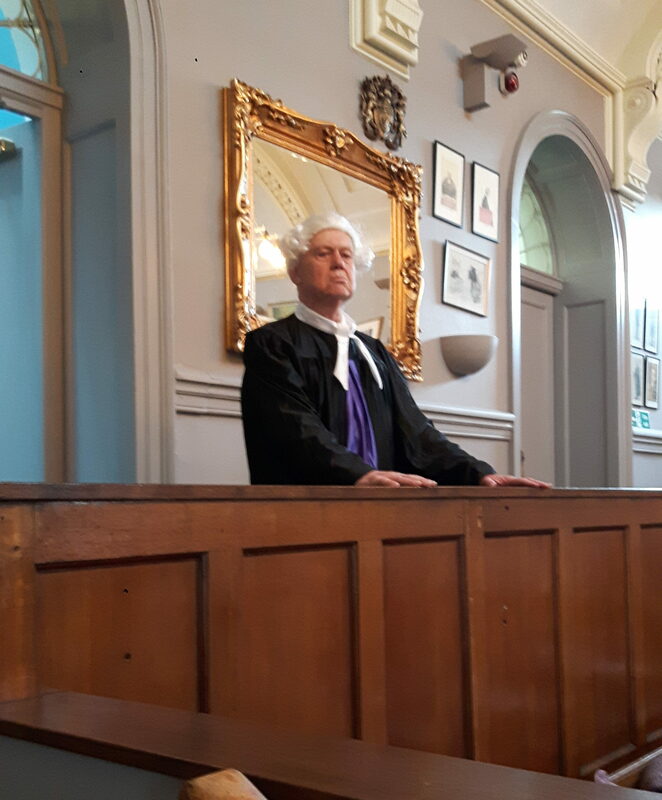 To see a full list of activities available, including a talk by Sir Dermot Turing, Alan’s nephew, and a reading of court records by TV’s Judge Robert Rinder, click here.